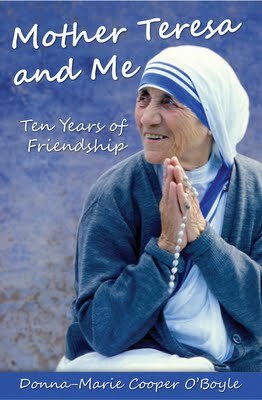 Here's the video (below) of my recent EWTN Bookmark interview with Doug Keck in which we discuss my books Mother Teresa and Me: Ten Years of Friendship and A Catholic Woman's Book of Prayers as well as a bit about my ministry. I also mention a new book coming out too! My interview on EWTN's Bookmark show was aired this morning and it will also air tonight at 11:30 PM. Host, Doug Keck and I discuss two of my books: Mother Teresa and Me: Ten Years of Friendship and A Catholic Woman's Book of Prayers. It was delightful seeing Doug again. I hope you enjoy our interview. 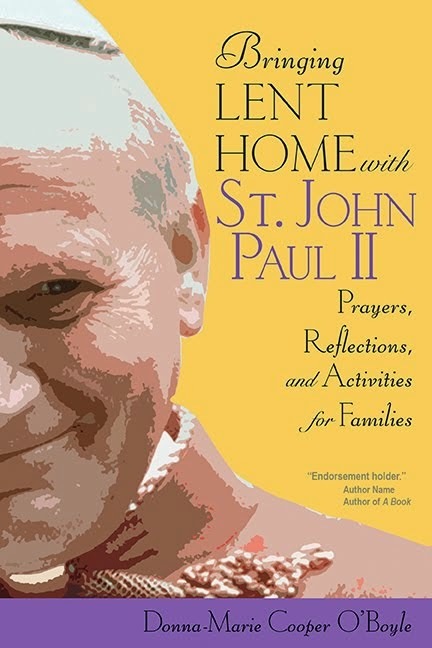 Due to release soon and just featured on EWTN's Bookmark show this morning! Donna-Marie Cooper O'Boyle will never forget the first time she laid eyes on Mother Teresa of Calcutta. Hunched, frail, shorter than one of Donna's own children, the aging servant of the poorest of the poor cut an unassuming figure awaiting the start of Mass with Her Missionary of Charity sisters. They would speak briefly after the liturgy and then spend the next ten years intermittently sharing hopes, dreams, and prayers through the mail and in face-to-face conversations. In Mother Teresa and Me, Donna-Marie invites you to step inside her deeply personal experiences with one of the greatest souls of modern times. Take her up on the offer and don't be surprised if you, too, find your heart blessed and your soul inspired by the diminutive nun who left an enormous impression on Donna-Marie -- and on the whole world. Emergency Water: Store it Now! Hurricane Irene is coming - let's pray! "Jesus Christ a King of Glory has come in Peace. God became man, and the Word was made flesh. Christ was born of a Virgin. Christ suffered. Christ was crucified. Christ died. Christ rose from the dead. Christ ascended into Heaven. Christ conquers. Christ reigns. Christ orders. Christ protect us from all storms and lightning. Christ went through their midst in Peace, and the Word was made flesh. Christ is with us with Mary. Flee you enemy spirits. The Lion of Judah, the Root David, has won." My EWTN Bookmark episode coming up! 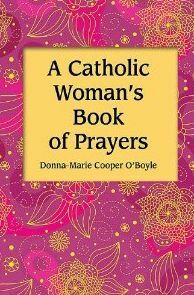 "Mention Donna-Marie Cooper O'Boyle to EWTN viewers, and they'll think of her many books, and television spots, on the importance of mothering. Donna-Marie's interview with Host Doug Keck reveals how much she learned from Mother Teresa's insightful observations to her, over a 10-year period. 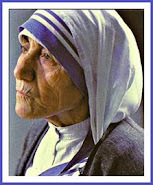 The fruit of this wisdom provided the basis for Mother Teresa and Me, and also for A Catholic Woman's Book of Prayers." Also, available from the EWTN Religious Catalogue and from the publisher Our Sunday Visitor, as well as at Amazon and from your local book store. I hope you can tune in to our interview! 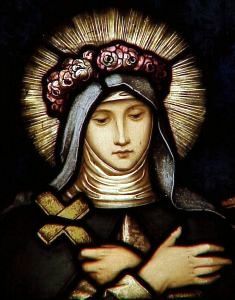 Happy feast of St. Rose of Lima! One of my favorite quotes of hers is, "Apart from the cross there is no other ladder by which we may get to heaven." How do you feel about Saint Rose's sentiments? 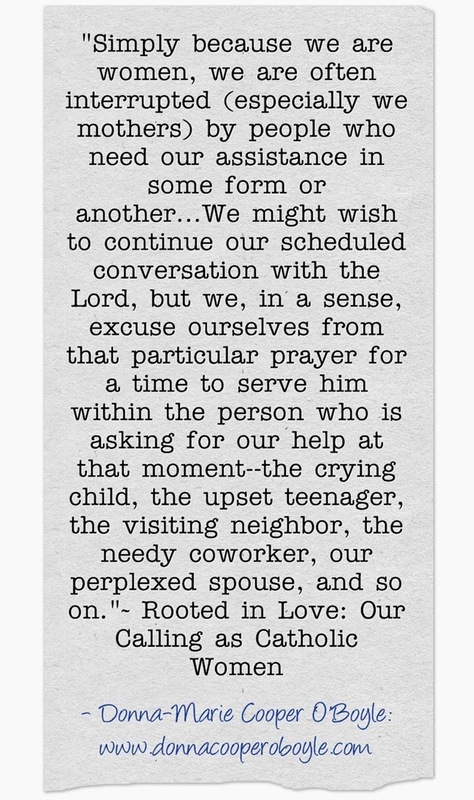 Can you an example about how this may apply to your life as a busy, prayerful, and faithful parent? Please tell us in the comment box--even a simple sentence. I'm all ears! This article (click above) was on Catholic Exchange today. What are your thoughts? 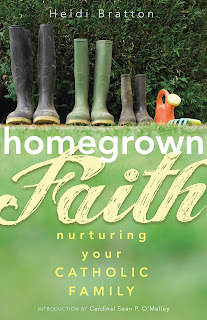 I recently interviewed photo-journalist and author, Heidi Bratton about her upcoming book, Homegrown Faith. Her new book is really quite a gem. "Heidi Bratton shows us how to grow spiritually throughout the Church year right in the ordinariness of our family days together with the extraordinary moments we experience as Catholic parents. This down-to-earth witty author gives unambiguous instructions for planting seeds of faith which will bloom in our children’s hearts forever." DONNA-MARIE: Heidi, can you please tell us what prodded you to write this book? HEIDI: My readers were the real and persistent prod in getting this book into print! Because my background is in photo-journalism, when I felt called to a publishing ministry sixteen years ago, I began with the writing and photo-illustrating of faith-based children’s books, and worked my way into trade books like Homegrown Faith; Nurturing Your Catholic Family. The speaking I was doing back then was for interdenominational mothering groups like Hearts at Home and MOPS, International, and resulted in the publication of eleven Christian children’s books and a successful trade book called Making Peace with Motherhood and Creating a Better You (Paulist Press). Then, just six years ago, I felt the call to become more overtly Catholic in my ministry and so began to write a weekly, Catholic family life column for The Anchor newspaper of the Diocese of Fall River, Massachusetts, which is where we were living at the time. I called the column Homegrown Faith and during the first year of its publication, I received many requests for reprints from readers who wanted to share the spiritual nuggets in those columns with family and friends across the country. In hopes of meeting that demand, I expanded publication of the column and other articles to online websites like Catholic Exchange.com and Catholic Mom.com. This actually enlarged my readership and the requests for reprints even more, so that at the end of that first year, I really felt the Holy Spirit tugging at my sleeve, encouraging me to package Homegrown Faith in book form. So, I put a manuscript together and floated it by some highly regarded Catholics like my newspaper editor, Fr. Roger Landry, my local bishop, Bishop George Coleman, my local archbishop, Cardinal Sean O’Malley, as well as other notable Catholic authors like Kimberly Hahn, Danielle Bean, and Heidi Hess Saxton. After receiving two thumbs up and really precious endorsements from all these reviewers, I set myself to polishing the manuscript and getting a publisher. Since then I have also been very blessed by other endorsements such as yours, Donna-Marie, and that of Lisa Hendey of Catholic Mom.com, and Debbie Herbeck of Renewal Ministries. Although I still write my newspaper column and publish online even more, a printed book is a very versatile and highly accessible tool for my specific audience; busy Catholic moms in active mothering duty. A book can be peacefully read while nursing an infant, tucked in a purse for inspiration while waiting in the doctor’s office, kept on a nightstand for personal, daily prayer time, or shared with friends in a mom’s group. DONNA-MARIE: I have a feeling that the title of your column and now your book has a deep meaning for you. Can you tell us a bit more about what "Homegrown Faith" means to you? HEIDI: When I hear the term, “homegrown,” I think of produce from some of the places around the USA in which I have been blessed to live; of springtime farm stands in California overflowing with baskets of red ripe strawberries, of mid-summer farmers’ markets in Michigan lined with bins of plump blueberries, and of autumn-time U-Pick orchards in New England chock-full of bushels of apples and pumpkins. The very concept of something being “homegrown” makes me think of that thing as being precious, close to someone’s heart, and I feel drawn to it. To be “homegrown” is the opposite of being mass produced. It means that fruit or vegetable was chosen carefully and tended to with great love from the very beginning. I borrow the term and its appealing meaning for the title of my column and of my new book because I believe choosing carefully what spiritual seeds to plant in our families and then tending lovingly to the growth of those seeds is a great analogy for how to have a family life that is plentiful to the point of overflowing with spiritual fruit. Also, the parallels between growing abundant produce and growing a faith-filled family are abundant and intuitive, such as the need for constant watering, constant pulling of weeds, having seasons of drought, and things like that. DONNA-MARIE How long did to take to write your book? HEIDI: It took five years from first inspiration to the printed version now available from Servant Books. During those same five years, however, I continued to home school anywhere between two and four of our children, had a sixth baby at age 41, sent the two oldest children off to college, wrote and illustrated four more children’s board books, and then, in just the last six months moved the family from Massachusetts to Michigan with my husband’s work. So, you I wasn’t writing fulltime by any means, but through all that time and the ever expanding parenting duties, I was gathering quite a bit of material to share with my readers! DONNA-MARIE: What was the most challenging part of your writing process? HEIDI: The biggest challenge for me in writing is finding the time, something to which I know all moms in active duty can relate! It can be a really frustrating limitation, but I try to see it as an asset to my work, making what I write all the more real and relevant to my readers. Readers won’t find me waxing nostalgia because, as I mentioned earlier, as I have been writing Homegrown Faith; Nurturing Your Catholic Family, I have also been involved in some pretty all-consuming family activities like home schooling, sending children to college, having a sixth child, and moving cross country. For now, however, and with the help of an extraordinarily committed and gifted editor, Claudia Volkman of Servant Books, I have gathered 52 of these spiritual insights from the napkins, the sides of road maps, the white space on church bulletins, and whatever other scrap of paper or diaper boxes I could find to scribble them on and committed them to print for the benefit of more families than just my own. DONNA-MARIE: Your description of what you thought the writing life would be like really made me smile. The REAL writing life, for a mother anyway, is what you have experienced! That's the best way--the most real way. Then you can weave in all of your rich experiences to make it a far more interesting book! I really like Mary Kochan's endorsement--very nice. Heidi, what do you hope your book may be able to accomplish? HEIDI: For years now I have had a photograph of a mother and child and a quote from the Blessed Teresa of Calcutta tacked on to a bulletin board in my kitchen. The quote reads, “What can you do to promote world peace? 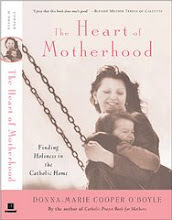 Go home and love your family.” I know you can relate to the inspirational power of all of the Blessed Teresa’s words, Donna-Marie, because you knew her personally, but if I can bring to the mothers who read my book the incredible truth and profound meaning tucked into this one quote, I will be one happy, Catholic writer! Motherhood can be viewed as a limitation, a season of constraint in a woman’s ability to impact the world outside her home, but the Blessed Teresa’s quote gives purpose and meaning to even the most mundane acts of caring for a home, a husband, and children, and I hope that my book will help readers believe and act on the Blessed Teresa’s words by better understanding the truly, far-reaching impact of faith-filled parenting. DONNA-MARIE: I love that too - "Go home and love your family." It's just so perfect! As you know, I write about motherhood quite a bit, so I can surely relate to your sentiments (and Blessed Mother Teresa's) regarding the profound sublimity of the vocation of motherhood. Is there anything else you'd like to tell us about your journey? HEIDI: The second thing I’d like to accomplish with my publishing ministry is to help Catholics learn how to read and to receive insight and grace from the Bible as well as the Sacraments. This is because during the early years of my mothering I attended a weekly Bible Study and it completely changed my life, and therefore the life of our family. My own writing whether it is in a children’s book, in a short article, or in a book like Homegrown Faith is always inspired by and includes insights and quotes from particular Scripture verses. Studying God’s Word is what helped me to personalize and internalize the love of Jesus, deepen my appreciation of the Catholic Church, and desire more than anything that my children would also know Jesus Christ as their personal Lord and Savior. I believe God’s Word, the Bible, has the power to do the same for anyone, but to have such a love poured into the life of a parent of young children means that that love will be multiplied for generations to come, and that is more exciting to me than anything else in the world! DONNA-MARIE: Do you have plans to do any speaking events or book signings? HEIDI: Yes, I do! Because of our recent, cross country move I have not taken on any new speaking or signing events lately, but, thanks be to God, (seriously, thanks be to God), we unpacked our last moving box just last week, and I am looking forward to getting out there with this new book in the months ahead. 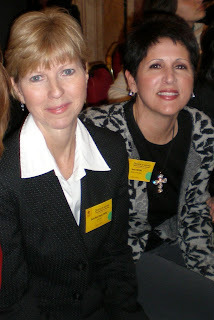 Readers who have upcoming women’s retreats, the need for a one-time speaker, or a fundraising idea for either Homegrown Faith or any of my children’s books can contact me through my website at www.heidibratton.com, or directly through my e-mail at homegrownfaith@gmail.com. DONNA-MARIE: Finally, Heidi, where can we find your book for purchase? 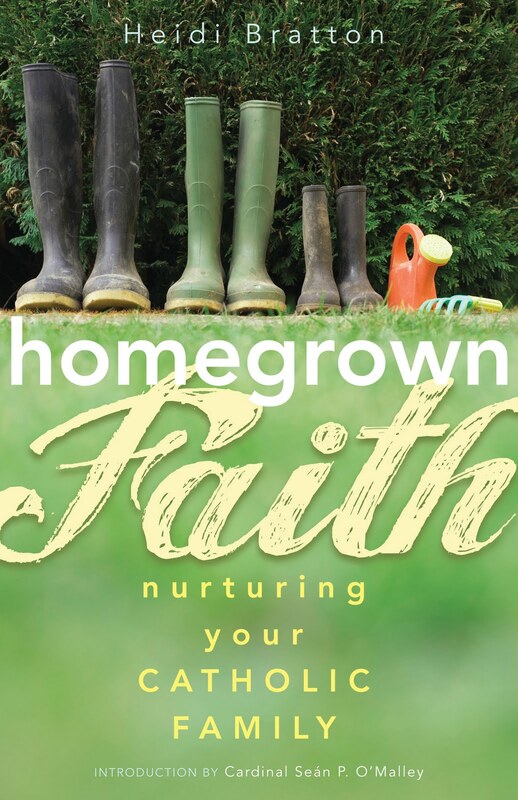 HEIDI: Homegrown Faith; Nurturing Your Catholic Family is available anywhere books are sold. You can purchase it online at Servant Books’ website, at Amazon.com, at Christian Book Distributors.com, and at all local Catholic bookstores. Thank you, Donna, for the opportunity to celebrate the launching of Homegrown Faith with you and your audiences. I appreciate everything you do to support and encourage Catholic motherhood! DONNA-MARIE: You are very welcome, Heidi. I thoroughly enjoyed hearing all about this marvelous journey. Thanks a lot for the interview. I pray that Homegrown Faith helps inspire Catholic families everywhere! 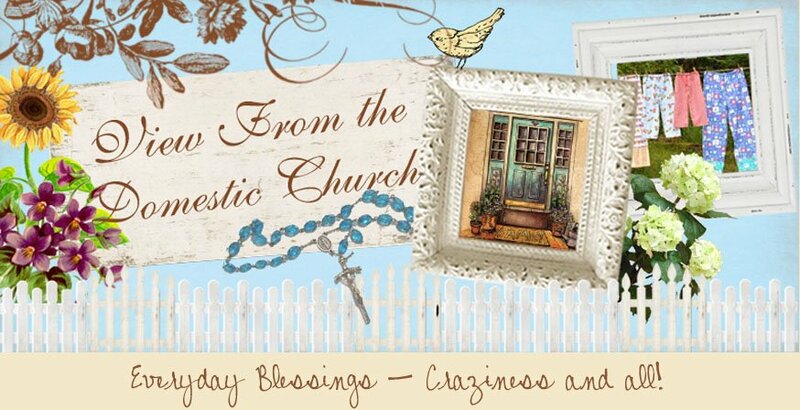 May God bless you and your family in great abundance! My new Radio Show: A Cup of Tea With Donna-Marie!" Here's the link I promised you so you can listen to the Introductory segment for my new radio show: "A Cup of Tea with Donna-Marie!" http://www.donnacooperoboyle.com/audio/Donna-Marie-CMN.mp3 It was recorded at the recent Catholic Marketing Network conference held at Valley Forge, PA. Happy feast of the Assumption of the Blessed Mother! 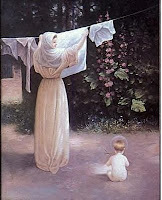 Have a beautiful day on the feast of the Assumption of the Blessed Mother! Most women – mothers or not – are multitasking mavens. We’re on the move. We’re busy. But we’re also hungry for God. 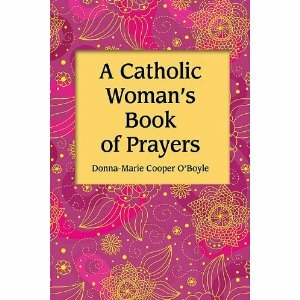 A Catholic Woman’s Book of Prayers is one of Donna-Marie Cooper O’Boyle’s most recent releases, and the diverse collection of prayers for Catholic women offers just the kind of quick, spiritual bites we crave. I admit I haven’t read the book cover-to-cover or at least not from start to finish (I think I’ve probably covered most of the text by now). Instead, I have tucked the petite book into my purse. It’s the perfect size (it’s smaller than my wallet!) to bring along with me during my daily activities as a wife and mother of little ones. I know it’s there so when I’m blessed with a free moment – maybe I’m stuck in a long line at the grocery store or perhaps my child is busy dribbling a soccer ball during practice – I pull it out and use its wisdom and prayers to help me connect with God. I’ve also, of course, used the book when I’ve been searching for the right prayer for a particular challenge I might be facing or to cope with an emotion that’s taken a hold of me. Chapter 3, Challenges Women Face, is particularly helpful during these times. I’ve prayed the “Help Me to Find Balance, Lord” on more than one occasion! The book not only includes traditional as well as original prayers but also brief reflections on sundry topics that speak to a woman’s heart. Inspiration from the saints and other spiritual greats are sprinkled throughout the pages as well. This book is a wonderful resource for any woman trying to lead a faithful life and desiring a closer union with her Creator. Thanks so much, Kate. God bless you and your beautiful family! I LOVE this photo I took of these two amazing faith-filled gentleman (Nick Thomm and Al Kresta) at this year's CMN! Looks like Pope Benedict is blessing them both and Mother Angelica radiates love! ﻿ I love Al Kresta - what a guy! He's on the airwaves every afternoon on Ave Maria Radio (aired through EWTN) on his show, "Kresta in the Afternoon" where he speaks with guests about "things that matter most." Kresta in the Afternoon is "talk radio where God matters." ﻿ I've done interviews with Al for his show, many times from the comfort of my home office by telephone. But, other times it's a real treat when I get to be with him in person when we are both at the same event. I had the pleasure of seeing Al again at the Catholic Marketing Network conference held in Valley Forge, PA this past week where I was there to give talks, do a book signing, and meet with publishers and authors. It was also great to see Al's producer, Nick Thomm again too! Al and I spoke a bit about everything, but we also focused on my book "A Catholic Woman's Book of Prayers" too. "With all the mixed messages that women receive from society today, it s easy to be distracted from and even unreceptive to the deep and abiding love that Christ has for them. Whether single or married, religious or consecrated, parenting children, or spiritually mentoring others, women need to know that the Lord understands the many challenges they face, their desire for inspiration, and, above all, their need to be affirmed as women. 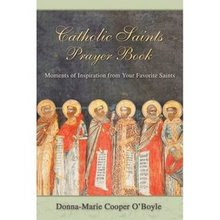 Donna-Marie Cooper O'Boyle offers a book of original and traditional prayers, inspiring writings, and uplifting words from the saints, women can be touched by God's divine love, thrive in affirmation from the Church, and understand and appreciate the true feminine genius that Christ offers." Speaking about "things that matter most" with Al Kresta! 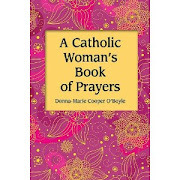 To order autographed copies of my book which speaks to ALL Catholic woman (single, married, mothers, and consecrated Religious), just go to my website: http://www.donnacooperoboyle.com/ and scroll down the Welcome page. New video: The Joy of the Lord! Are you ready for a new video? Taking pre-orders on Mother Teresa and Me: Ten Years of Friendship! Check out the beautiful new cover! This book is scheduled for an early September release by Our Sunday Visitor Publishing Company. It will contain 12 scans of the 22 letters dear Blessed Mother Teresa has sent me. I've also added a couple of little stories to the book which was previously published by Circle Press. I am now taking pre-orders for a discounted price. Just go to my website: www.donnacooperoboyle.com and scroll down on the Welcome page for ordering information. 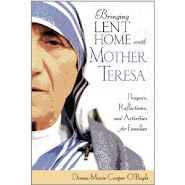 You'll also find more information about the book on the "Mother Teresa and Me" page. My new radio show for Catholic families! I'm happy to tell you that I'll be doing a new radio show on a regular basis. I'm calling my show "A Cup of Tea with Donna-Marie." I'll be discussing all kinds of Catholic family issues with Cheryl and Jim Manfredonia of Domestic Church Media Foundation. It will be at 4:15 PM Eastern time on the first Friday of every month. As soon as I get the MP3 of the interview with Cheryl and Jim, I'll post it here at "View From the Domestic Church" so you can hear our introductory segment which was done at the Catholic Networking Network conference held this past week at the Valley Forge Convention Center in King of Prussia, PA (just outside of Philly). Listeners can tune in through the website www.DomesticChurchMedia.org and click on LISTEN NOW for STREAMING LIVE. www.tunein.com and search for WFJS and listen that way...also free. I HOPE YOU CAN JOIN ME! My next segment for "A Cup of Tea With Donna-Marie" will be on Friday, September 2nd. 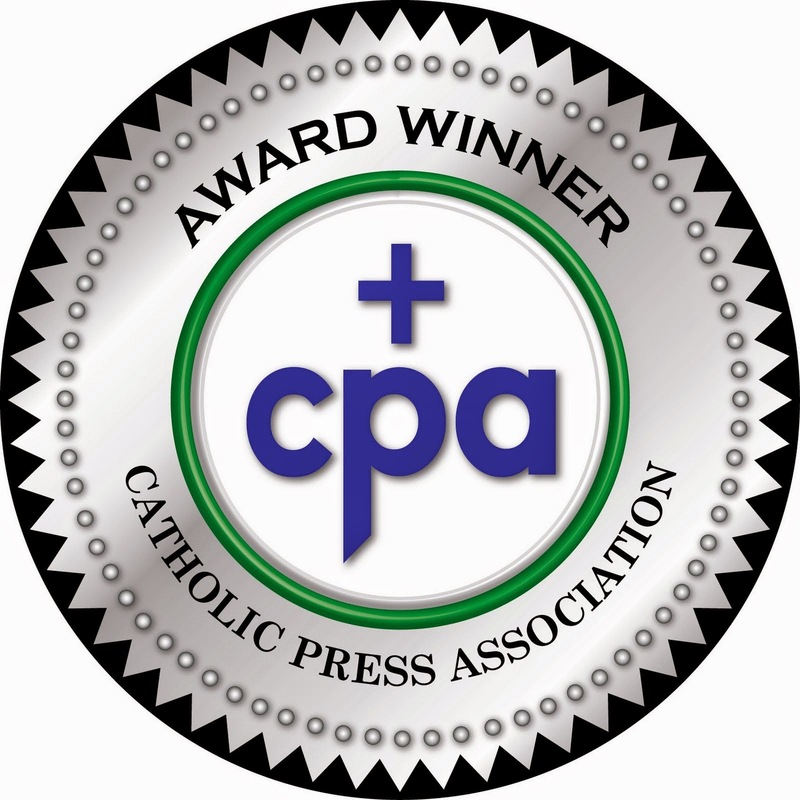 I just got in last night from a full week at the Catholic Marketing Network and Catholic Writer's Guild conference held at the Valley Forge Convention Center in King of Prussia, Pa. I got a pretty good night's sleep but had to get up early since my daughter was leaving on a little trip this morning. After we bid "good bye," I unpacked my bag and put a load of laundry in the washer. I washed some dishes that my dear hubby left in the sink and straightened the house up a bit. It was then about 11:40 AM and the Post Office closes at noon. I wanted to get an important package in the mail and off to my eldest daughter which meant I would need to leave right away. I got our dog in the house and grabbed the package I needed to send, locked the door and high-tailed it to the car. I wondered if it was worth it to drive all the way into town only to find the Post Office door locked. I decided I'd take the chance anyway and felt a very strong prodding to leave everything and go. I pulled into the parking lot of the Post Office and sprinted to the door. I got in the door just before the woman locked it. I waited in line and mailed off the package. I wanted to get right home to catch up on even a little of the work that was waiting for me since I was away all week. But, instead of taking a right towards home, I make a quick decision to turn left so I could stop at a little shop to get something for my husband. When I went into the store, the woman there seemed a bit distressed. She was telling the customer in front of me that she felt she was experiencing an out-of-body experience because of what she was undergoing. She seemed thoroughly exhausted. I asked if she needed a good night's sleep. "No," she paused, "I need more than that." "I need more than that," she said. I knew in my heart that it was prayer she needed. The customer in front of me left. I approached the counter with my two items. As she rang me up, she told me that her husband needs open heart surgery and that he has to have a valve transplant and it was scheduled for a week from now. He was hanging on a thread she said that he could not survive in that condition for very long. But he had to have dental surgery before undergoing the heart surgery. As she was explaining her husband's situation, I was reaching into my purse to see if my some miracle I had a blessed Miraculous medal left. I had brought some with me to the conference and had given them out to people I knew there and to people I felt God wanted me to give them to. I was delighted to find that I had JUST ONE left! I pulled it out and explained to the woman that I wanted to give her something and that she didn't need to accept it, but I wanted to give it to her for her husband. I pulled out the medal and touched it to the one I wear which was given to me by Blessed Mother Teresa (a relic). I then told her that when I was in Rome I had placed the blessed medal on Blessed Pope John Paul II's tomb and also on Blessed Mother Teresa's bed where she slept when stayed at the convent in Rome. I had been given permission to do both. I placed it into her hand and I said that it was meant for her husband. She burst into tears and came around the counter and gave me the biggest hug. She squeezed me so tight and thanked me profusely. The door opened and a couple of customers came in. I waited around and decided to TEXT my daughter and ask her for prayers for this woman and her husband. After the customers left the woman and I talked a little more. I told her that earlier I wasn't even sure if I was going to make it to the Post Office before it closed so I had even thought I might not go until Monday. Then, after the Post Office, I made a quick decision to stop at her shop instead of going straight home. It was clearly meant to be I thought. She seemed to think so too. I told her that I would put her husband on prayer lists and ask people to pray for him. I asked her if she minded if I ask if she had a religion. She said she was Catholic but hadn't been to Church in a long time. She said her husband didn't really have a religion or at least none he practiced. I told the woman that I would bring her a medal the next time I came in. Please keep this couple in your prayers. The husband's surgery is scheduled for a week from Monday. 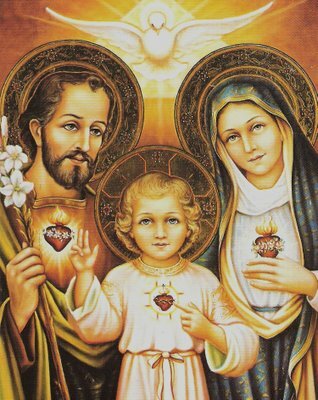 I believe that Our Lord is working on this couple and the Blessed Mother is interceding. I hope and pray that he decides to wear the blessed Miraculous medal. So, let's see, what's the date the Monday after this? It's August 15th, the Feast of the Assumption of the Blessed Virgin Mary!